It the last stop of Chris (@acecomics) and Reggie's (@reggiereggie) five-part comic book history tour, as seen through the lens of the Comics Code Authority! First, we learn about the fates of our Comics Code triumvirate: Senator Estes Kefauver, Dr. Frederic Wertham, and publisher Bill Gaines. Then we take a quick trip around the world and see how the comics industry has developed in those countries that never imposed the same restrictions on content as America. Now we have come to the conclusion of the CCA, and Chris and Reggie offer their thoughts and opinions on the ramifications of a post-Code world. They look at new public pressures that affect publisher decisions today, and examine some of the sources that drive self-censorship in other entertainment industries today! There's something to piss of everyone in this second half of episode five, you won't want to miss it! 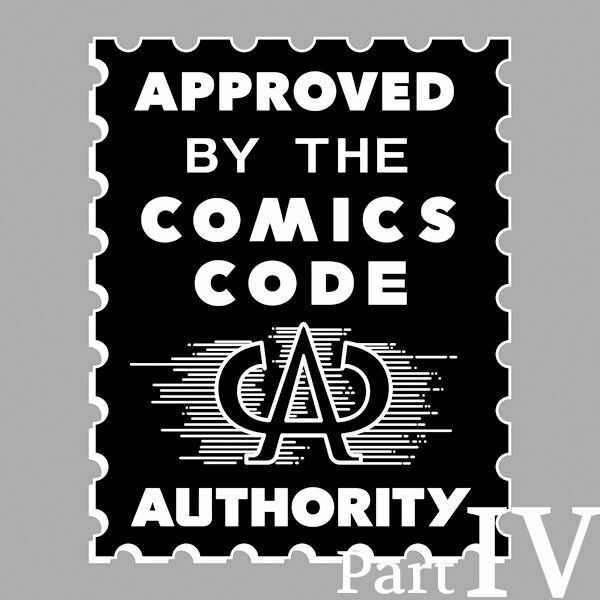 It's time to cruise through comics history again with Chris (@AceComics) and Reggie (@reggiereggie) and observe the beginnings of the Comics Code Authority, including a reading of the actual Code itself! 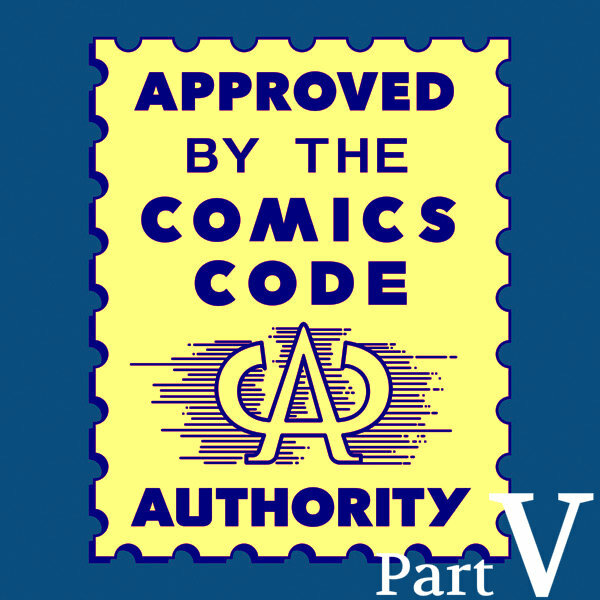 Then they discuss changes to comic books--and the Code--over its sixty-plus year history. It's a wacky good time of phony legalese and self-censorship that's sure to entertain the whole family! WARNING: Not for children or family. Chris (@AceComics) and Reggie (@reggiereggie) get to the meat and cheese of their five-part look at the Comics Code Authority: 1954's Senate Hearings on Juvenile Delinquency, starring Senator Estes Kefauver! They look at increasing anti-comics public sentiment and the exact comic book that served as the tipping point and legitimized federal investigation. Then, they take you through all three days of the hearings, talking about each witness and their testimonies, while interjecting the usual silly commentary. 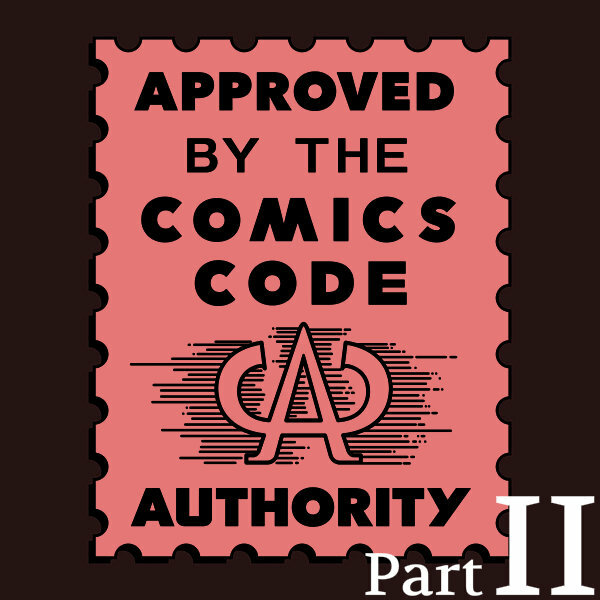 Chris (@AceComics) and Reggie (@reggiereggie) continue their discussion about the ideas and events that contributed to the formation of the Comics Code Authority. In this episode, they quote some early anti-comics crusaders, look at comic books after World War II, and talk about Dr. Frederic Wertham's book Seduction of the Innocent and the research behind it. 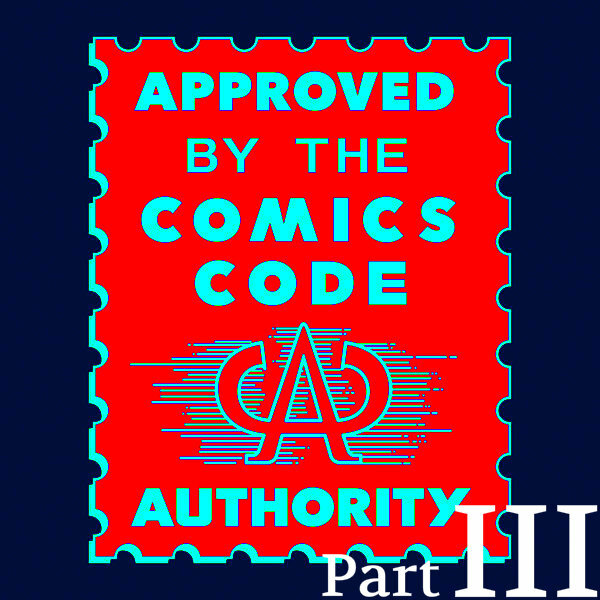 Chris (@AceComics) and Reggie (@reggiereggie) talk about comic books during World War II, long before the Comics Code Authority came into existence, and detail the early life of Dr. Frederic Wertham, whose name would someday become synonymous with anti-comics crusading. 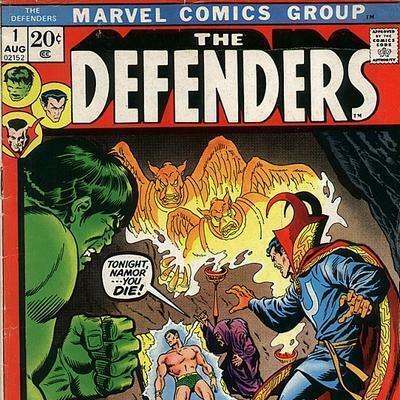 Chris (@AceComics) and Reggie (@reggiereggie) conclude their month-long tour through Marvel Comics with the Defenders #1 from 1972--the fourth or fifth appearance of the team! They'll describe every moment of the issue and discuss other iterations of the Defenders team, and go through the usual creator biographies--but stay tuned, comics enthusiasts, because the real story is in the writer, Steve Englehart! It's an episode full of laughs and gasps, you won't want to miss it! Join us on another Crisis-inspired jaunt through speedster history when Chris (@AceComics) and Reggie (@reggiereggie) read Flash vol. 2 #0 by Mark Waid and Mike Wieringo! After some biographical details about the creative team, we delve into the issue proper and discover the truth about what inspired Wally West to become the Flash! Then, after some notable quotables from Mr. Waid himself, Chris and Reggie talk about legacy characters in comic books--what they think about them and why publishers never seem to let them stick around! It's a wild romp of an episode that will take you all over the...time! 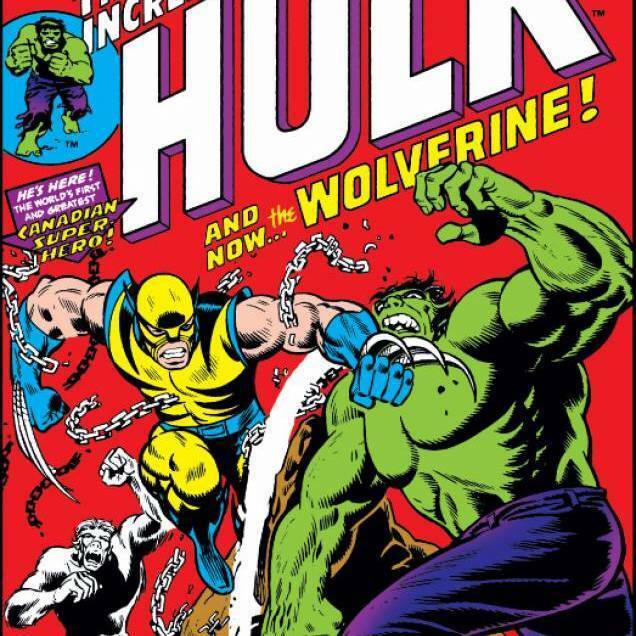 Grab a bowl of poutine and put on your heavy coat when Chris (@AceComics) and Reggie (@reggiereggie) head into woodsy Canada and read the Incredible Hulk #181 from 1974! After some biographical information about creators and industry giants Len Wein and Herb Trimpe, our duo go through every crushing blow and...soul-swapping magic spell of this classic comic book. Then, they provide a detailed background of the sensational character find of 1974, Wolverine! They're the best at what they do, and what they do is...hopefully nice! Enjoy! 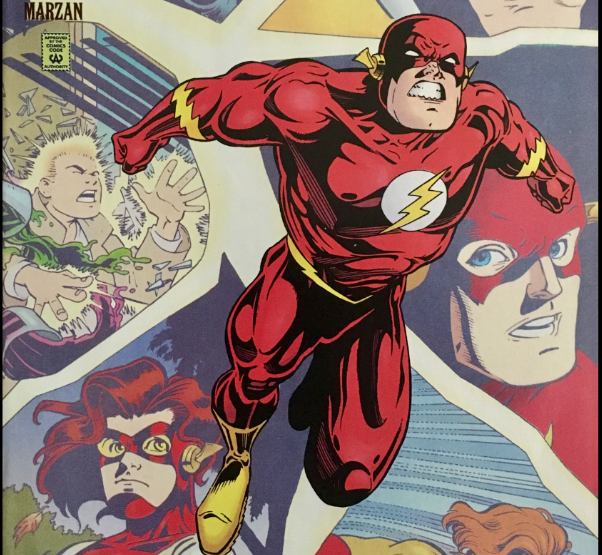 This week, Chris (@AceComics) and Reggie (@reggiereggie) broadcast live from the Vanishing Point and talk all about the 1994 DC Comics event, Zero Hour! They detail the conditions that created the need to streamline DC's temporal continuity, and then describe every issue of the Zero Hour event--including every single tie-in issue! After a break, our Linear Men discuss each issue of the Zero Month that followed the Crisis in Time that changed some DC Comics superheroes...FOREVER! Or at least until Infinity Crisis. It's an oversized doozy of an episode, so strap into your Time Bubble and enjoy the ride! 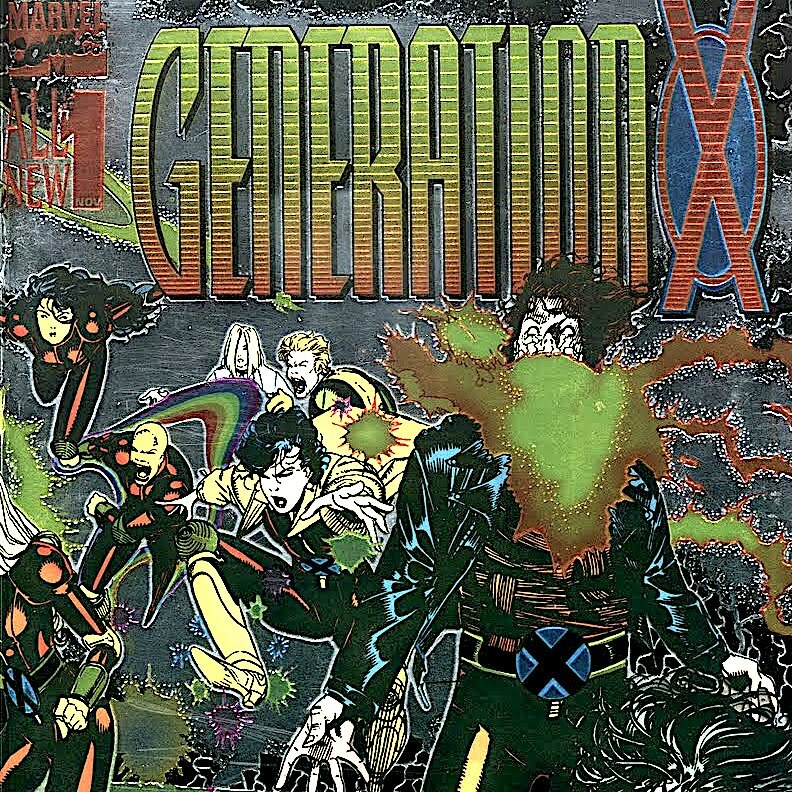 In this episode, the mutant kids will have their say when Chris (@AceComics) and Reggie (@reggiereggie) read Marvel Comics' Generation X #1 from 1994! They provide some detailed biographies of the creators Scott Lobdell and Chris Bachalo, and then try to pick apart the complex web of events that are 1990s and early 2000s X-Men comic books. Then, our muties talk about other youth-based comic book teams. Tell your parents you're not following their rules and pull the posters from your bedroom walls, because we're talkin' 'bout my Generation X!